Fruitcraft app trading card details | Fruitcraft, Sqish em all! 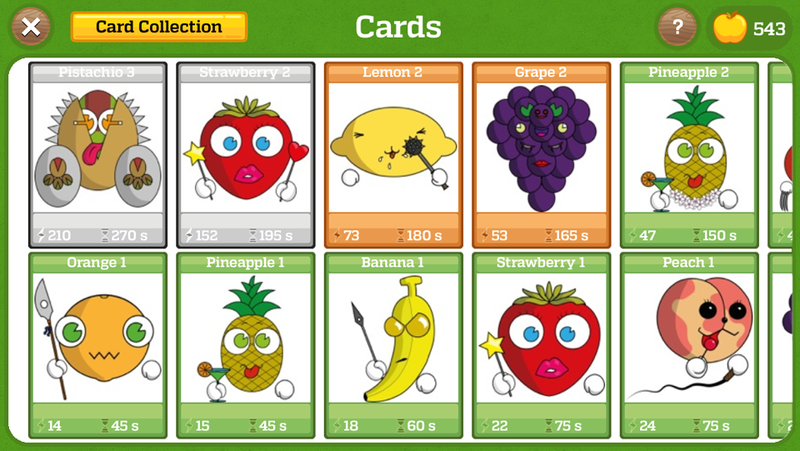 There are 30 different base card types in the “Fruitcraft social Trading Card Game”, each assigned to one fruit. Each fruit comes in 7 levels. Level is a number between 1 and 7 and relates to the Fruit level. Early in the game, players are more likely to find level 1 and 2 cards and as they advance they will have access to higher level cards. Power is the amount of damage the warrior can inflict. Power also acts as defence number. Cool-down is the number of seconds a card is locked after it is used. Rarity indicates the chance of finding the card within the game. 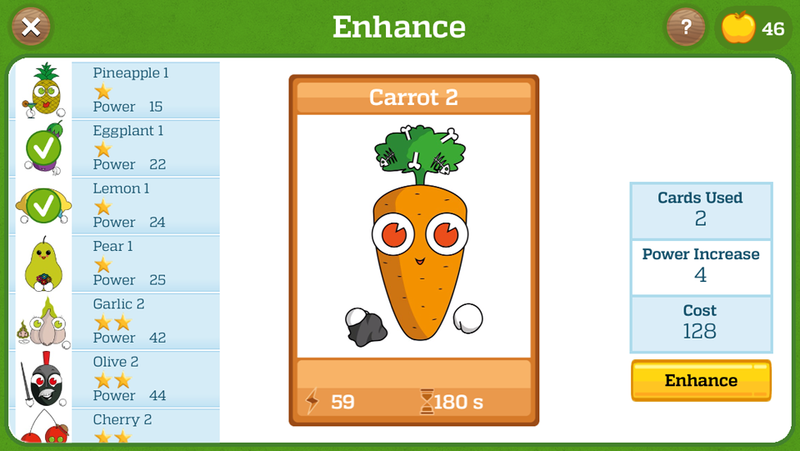 Enhancing a card will improve the card’s power. A card can be enhanced by sacrificing 1 or more weaker cards. Enhancing costs gold and becomes more expensive as more cards are selected to be sacrificed in one go. Evolving is the process of combining 2 of the same card to create a higher level card with the same warrior. Evolving is only possible after a player joins a tribe. 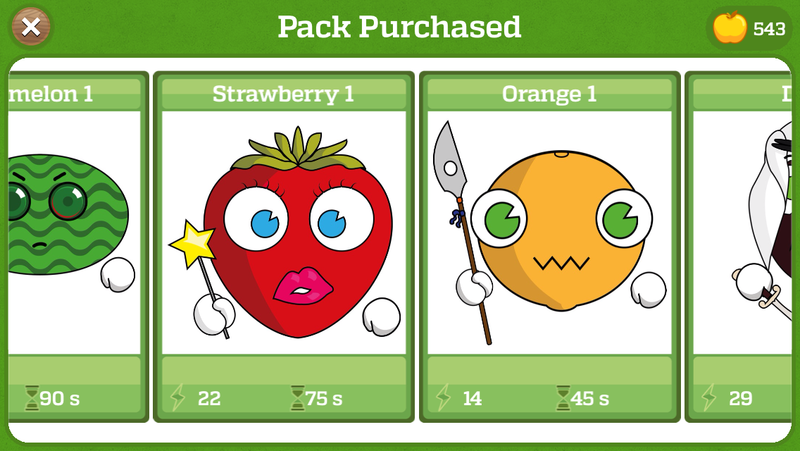 You can collect cards through out the game by levelling up, winning challenges or purchasing packs from Fruitcraft’s market. All the trading cards you can come across across all playthroughs will be listed in your card collection. So make sure to check and make note of what you are missing.